An award winning author, Beverly Adam enjoys researching history and weaves facts with fiction into her novels. 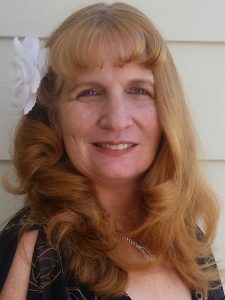 She is the author of the popular Regency romance series: The Honorable Gentlemen (Lachesis Publishing). As for her biographical novel Two Lovers: the love story of Carole Lombard and Russ Columbo, it has been called a "must read" by The Russ Columbo Society President, Damon Leigh. All books are available in e-book and paperback formats. I am often inspired by newspaper clippings, unusual folklore, and historical transportation, such as a Napoleonic era frigate ship or a 1930's Dusenberg car. I am always on the lookout for interesting historical tidbits in books and newspapers, which I can create into a tale. I always consider the characters which inhabit my story first. Their emotions and experiences, result in their actions, which creates the plot. My style of writing has often been described as "cinematic", never loosing the focus of the plot which is based upon the main protagonist's actions and emotions. The voices of my characters are as clear in my thoughts as the lace, gems, and beaded clothes which I imagine them to wear. The dialogues in my tales consists of the language and rhythms of speech patterns from the time period I am writing about and the country they inhabit. I might write the Irish brogue of an angry seventeenth century lady confronting her lover in a bedroom in Ireland or write using the smokey accent of a charming 1930's film star bargaining with a grumpy middle-aged film director over a script on a Hollywood set. Flashbacks should not be over used as they confuse the reader and slow the momentum. If a past event must be mentioned make it short, or write a prologue no longer than six pages in length. The questions I ask before deciding on a publishing house: How will this house benefit me as an author? Does this publisher have a credible reputation with other authors? Money and percentage shares are important, but exposure to readers, distributors, and marketing are important factors. I have self-published and worked with traditional publishing houses, both have their pros and cons. Regardless who I work with, I must promote my own work and not depend upon the publishing house to spread the word about my books. Most sales are made online and mortar bookstores are good for selfies of you pointing to your book on a shelf or inking your autograph. Paperback novels as of this minute sell well with Baby-boomers (50+) and will continue to do so maybe for another ten years. Because of an aging population there will be more mature characters in romances and biographies, as either protagonists or important secondary side-kick characters. PDF formatting will continue to be necessary as Amazon kindle is not used in many non-English speaking countries, as readers do not understand how to download the app. needed onto their pc. Up and coming are Steampunk and science-fiction romances will become standard sub-genres of romances, along with more fantasy themes involving fairies, witches/warlocks, and a continued interest in shape-shifting wolves, dragons, and immortals.